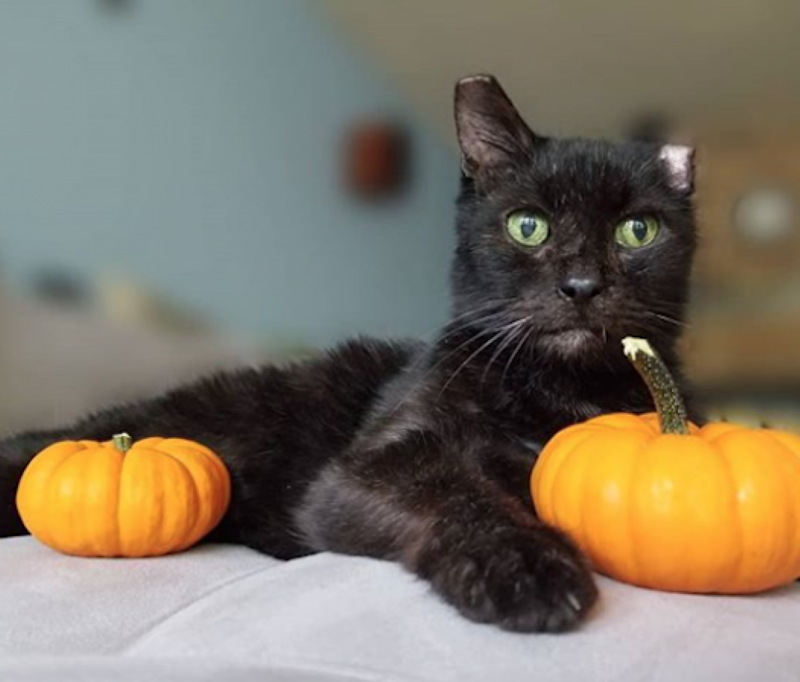 Achilles was found as a stray, but he has so much affection for people that we think he may not have always been on his own. He constantly wants to snuggle and when he sees his people coming, he wags his little tail with all his might! He loves to be by your side and will lay his big adorable head on your leg Or lean his whole body against you. His APA! friends rave about his kisses and how speedy and sneaky he is with them. 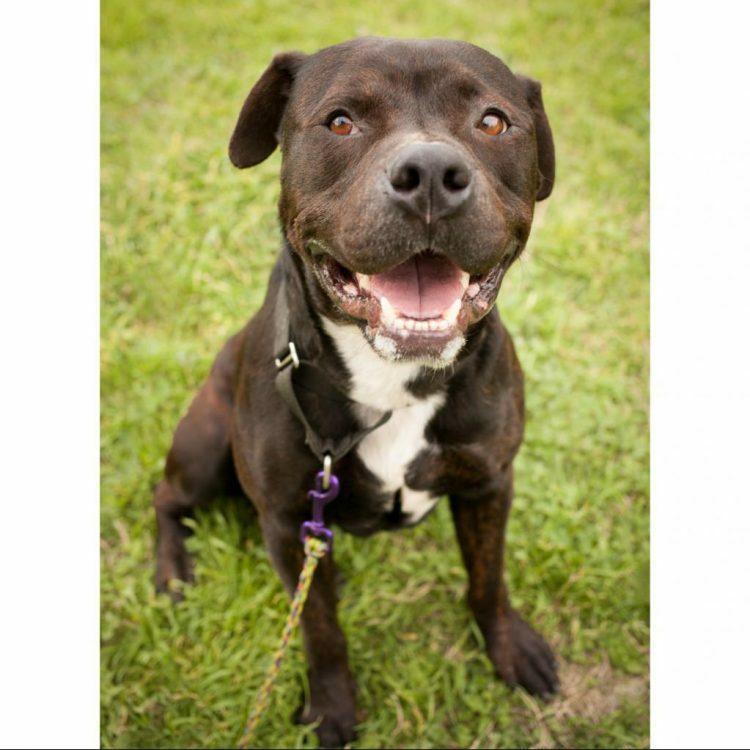 Achilles is great on leash and loves to go on long walks. He's also a very patient guy and is perfectly content to let you stop and chat with people along the way. He's not particularly interested in other dogs and seems to prefer just spending his time with his people, but he has become enamored with playing fetch, if fetch means running around with the ball in his mouth. He hasn't figured out the other half of fetch yet, but we're working on it. Achilles is also working on being the best dog he can be in APA! 's Total Obedience Program. The Total Obedience Program (TOP) is modeled after the AKC's Canine Good Citizen (CGC) test. As a TOP dog, Achilles has a personalized training plan and works with a volunteer trainer several times a week to help him learn skills like sit and down, walking nicely on leash, sitting calmly when approached by strangers or other dogs, staying in a sit or down until told "free," and coming when called. This easy-going pooch is a joy to be around and can't wait to meet his family. A more loyal companion you'll never find. Come meet him! 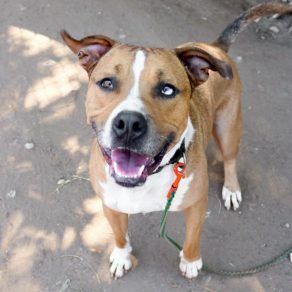 I saw Achilles (https://www.austinpetsalive.org/adopt/dogs/apa-a-56667) on the Austin Pets Alive! website and would like to request more information.